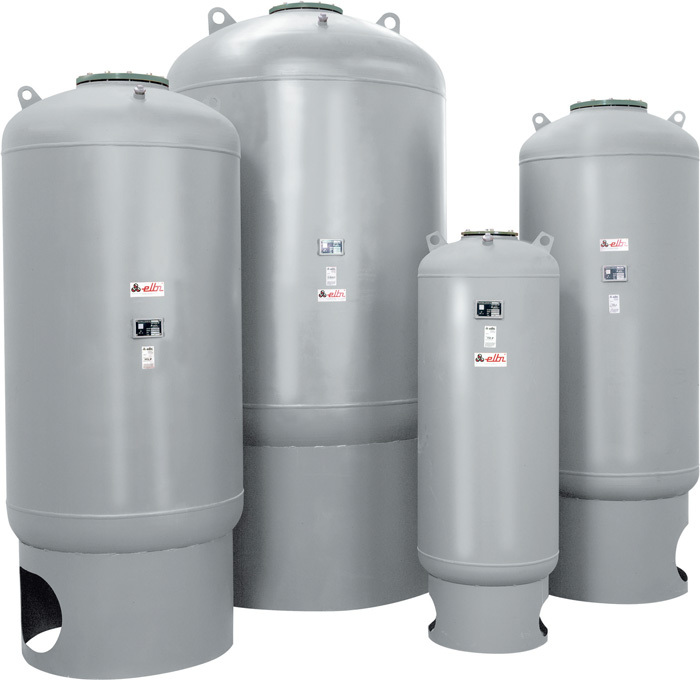 Our WTS and WTL Series Water Well Pressure Tanks are designed according to the ASME CODE Section VIII – Div. 1 using the latest technology in terms of manufacturing processes and quality control. Available in 150 psi maximum working pressure. Intended for use in hydropneumatic systems, these tanks maintain the system pressure when the pump is not operating and protects the pump by reducing the number of startups. All models are fitted with a replaceable bladder. ELBI’s HTS and HTL Series Expansion Tanks are designed according to the ASME CODE Section VIII – Div. 1 using the latest technology in terms of manufacturing processes and quality control. Available in 150 psi maximum working pressure. Intended for use in hydronic heating systems, these tanks accept the expanded volume of hot water keeping the system pressure below the relief valve setting, thus preventing dangerous pressure build-up. All models are fitted with a replaceable bladder. 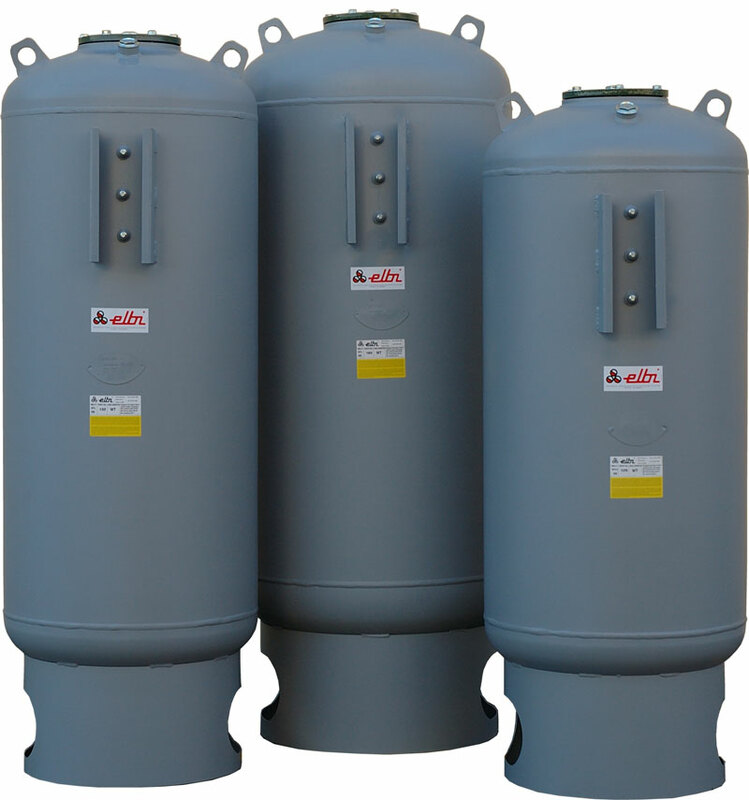 Our DTS and DTL Series Thermal Expansion Tanks are designed according to the ASME CODE Section VIII – Div. 1 using the latest technology in terms of manufacturing processes and quality control. Available in standard 150 psi maximum working pressure. Intended for use in commercial and industrial fresh potable hot water applications, these tanks accept the expanded volume of hot water keeping the system pressure below the relief valve setting, thus preventing dangerous pressure build-up. All models are fitted with a replaceable bladder. Our ASME replaceable booster bladder tanks can be use specifically in a booster pump application, it can provide water to the system during periods of low to no flow shutdown of the booster pump. In a well water application, it can provide the desired volume of water required between the pump shut off pressure and the pump cut on pressure. In an irrigation or sprinkler pump application, our booster tanks will provide a cushion to maintain necessary pressure so the jockey pump will not short cycle.